This distinctive knife is the Double Shadow. GH0453. Measuring 11 1/4" overall, this eye catching offering features a 5 1/2 mirror polished, 420 stainless steel blade split into two sections by an unusual blade cutout. 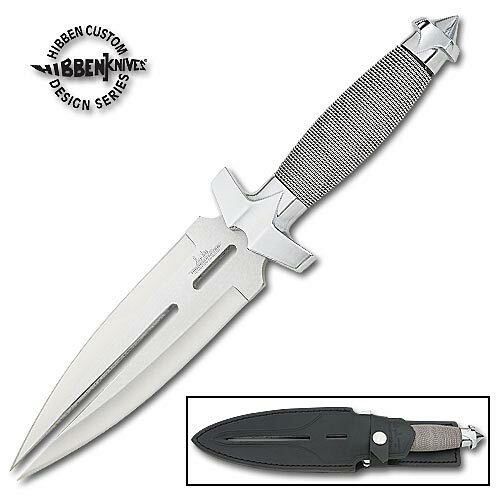 The hilt offers a handle with silver wire wrap that provides a sure grip. This knife includes Gil Hibbens personal stamp etched on the blade and a custom, genuine leather sheath.